was born in 1981 in Santiago, Chile. In the art faculty of the University of Chile, he studied with the teacher in classical guitar Ernesto Quezada. In 2009 he got his degree as guitarist with the highest award. As a soloist he has performed concerts in Spain, Germany, Austria, Portugal, France and Colombia. He attended masterclasses with Hopkinson Smith, Roland Dyens, Roberto Aussel, Marcos Socias, Aniello Desiderio and Eduardo Isaac. In 2003 he was the recipient of the prestigious "Beca del Teatro Municipal" scholarship, granted only to outstanding students in his field. In addition, he performs alongside his father, with whom he plays traditional Chilean and Latin American musical works. 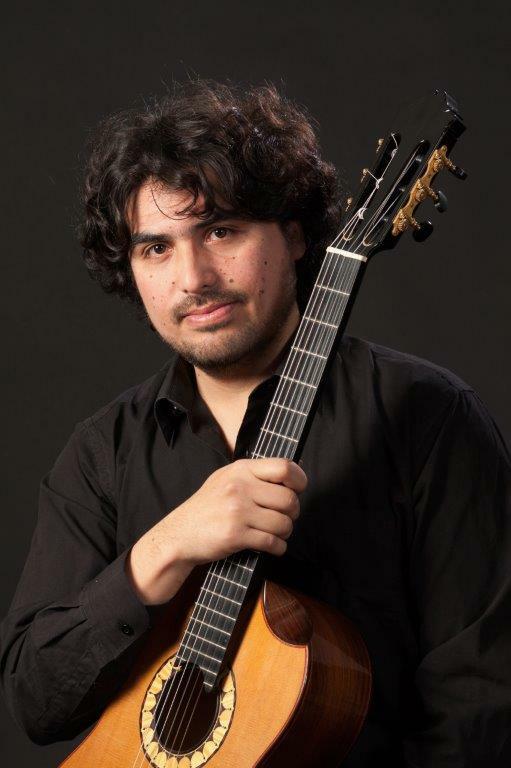 He is currently the academic director of the "Festival internacional de Guitarras de America". He is a scholarship holder of the Chilean government and holds a master's degree from Roberto Aussell in Cologne.